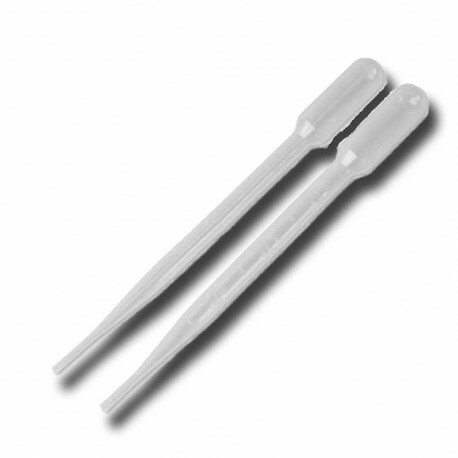 Plastic pipettes for measuring liquids. It is calibrated to a maximum capacity of 1 milliliters. It is perfect for measuring small amounts of liquid as is the case with liquid rennet or with liquid calcium chloride. Five pipettes are included.